Bindu is vry disturbed. Acharya Chanakya comes there. Bindu feels helpless. The life of both my sons are on the brink. What did I miss? Acharya Chanakya talks in Ashoka’s favour. Hope you don’t regret your decision later. Ashoka should be punished if he is indeed guilty. But what if he is proved innocent afterwards? I want some time to prove if he is really a culprit or not. Bindu too wants to think that his son Ashoka is innocent. But the dagger in his hand said otherwise. Plus he was there as Agradoot. He accepted his crime. He even tried to hurt me. I am more shocked by the changes in Shubhadrangi (Dharma). She told me she knew everything from the start. She even asked me to make Ashoka my successor. She wants a separate palace for herself and her son. She was well aware of the fact that Ashoka was Agradoot; and also of Ahankara and Ashoka. She has shocked me like anything. Even Acharya Chanakya cannot believe it that Dharma could say so. Bindu regrets trusting Ashoka and Dharma. You were capable to identify my father’s true face but not of Ashoka. He walks away. Acharya Chanakya comes to meet Ashoka in the cell. Ashoka tells Acharya Chanakya that he came a little too late. I need you most but now its too late. Acharya Chanakya says there is still time left. Ashoka says I made a mistake. Acharya Chanakya agrees. You have indeed made a mistake. Guru cannot be with his disciple always. His given knowledge always stays though. I had warned you not to take any decision using your heart. You have made this mistake only. You interfered in Magadh’s justice system by becoming Agradoot. It is your responsibility to do so but you have actually insulted it. Ashoka rues not having any other option. Acharya reasons that everyone has an option. Ever person looks for a way out which suits their purpose. Ashoka says neither you nor father was here. I had to take it in my hands. Acharya Chanakya says you should have kept patience. You see what you have fallen into now. I want to hear the truth. He gives a letter to Ashoka. After seeing you, I felt the same way I felt seeing your grandfather Chandragupta Maurya! The hopes were same. I have full faith that my vision of seeing you as the saviour of entire India was right. Your father today told me I made a mistake in understanding you. Ashoka apologizes to him. I disappointed you and father. I deserve to die. Acharya asks him to read the letter. If you find anything out of place then I will accept it that it is the Guru who has actually failed. Ashoka reads the letter. Sushim attacked Ahankara. Ashoka intervened. Ahankara hurt Sushim to save herself. Ashoka took the blame on himself to save Ahankara. Ashoka touches Acharya’s feet. They share a hug. Now a Guru will help his disciple, even if I have to sacrifice my life for it. Ashoka takes a promise from him for not telling this truth to anyone. Everything will be finished otherwise. Acharya promises him. You hid the truth to save two people. Justice cannot happen this ways. The ulterior motive for me is to protect Magadh’s future. I have to help you for the very same reason. Acharya Chanakya looks out of the window. His disciple asks him what he has thought of. Acharya says an emotional father took the decision to punish his son. I know Agradoot is just an illusion. Dharma can never support wrong people. She can never be selfish. These people have pictured something else before Samrat. Sushim is on deathbed. It is almost impossible to help Ashoka now. The sunrise tomorrow will bring his death punishment. I don’t have enough time to gather proofs. His disciple reasons that they could have helped Ashoka if Sushim was not in this condition. No treatment is working. This is what is bothering Samrat. Would he have taken such a decision if Sushim was fine? Only a miracle can save Ashoka now. Acharya says the same thing. I know who can do this miracle. An emotional Dharma looks at Ashoka’s stuff. I don’t have much time. She asks her Daasi to help her. He will leave me tomorrow morning. I have to give it all to him before that. Acharya walks in saying nothing will happen to Ashoka. I wont let him die. Dharma gets hopeful. Acharya agrees to help Ashoka but through her support. Magadh’s justice system says if anyone kills a member of the royal family then he should be killed. But if the family member doesn’t die then the culprit should only be punished for the crime. Save Sushim till tomorrow morning while I will take care of Ashoka. I will get time to help him after that only. 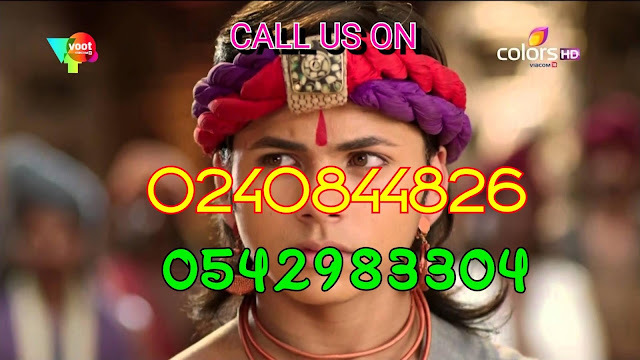 There is only one solution to save Ashoka – don’t let Sushim die! I know only you are capable to do so! Charumita cries as she sits beside Sushim. Dharma comes there. Charumita gets angry upon seeing her. I told you to stay away from my son. She pushes Dharma. Acharya Chanakya says maybe this is the only solution to save Sushim. Charu asks him to leave her and her son alone. I know you have no sympathy for my son. I wont let you kill my son by falling in your trap. Acharya reasons that Dharma has saved Samrat a lot many times. Not just me but you too have witnessed such miracles. Give Dharma a chance. Charu gets angry. Should I let her complete her son’s incomplete work? Dharma understands her discomfort. I cannot do anything to save my son from dying. I can help Sushim. It wont help me in any way but if he gets well then I will be out of this guilt that Sushim is in this condition because of my son. we can lose both our sons tomorrow or save one. The decision is yours! Charu gives in. Dharma tends to Sushim’s wounds. Ahankara asks Ashoka what he is made of. I tried to speak the truth but my truth failed before your lie. Samrat did not believe me. He tells her to forget it. I am doing it so free can be the pain of your past. Ahankara says how to live the dermas after they are snatched away. They both apologize to one another. He has one dream. Will you help me? He takes her brother in his arms. Raise him with love and faith. Don’t tell him about that Maurya who hurt you when you tell him about Maurya background. Tell him about the one who helped you. Hatred causes hatred only. Forgive Sushim. She asks him to bless her brother. Ashoka kisses him on the forehead and hugs him. She is all teary eyed as she takes her brother back from him. She hurts himself on her hear when he reaches out to her. He is taken aback. Charu thinks of the past moments spent with her son as Dharma continues to treat Sushim. Bindu has organized a yagya for his son’s well being. He thinks of Ashoka while doing puja. Siamak cries thinking about Ashoka too. Helena comes there. He says both my brothers dint behave well with me, but I cannot see them dying. I cannot believe it that Ashoka killed Sushim. I have seen them both fighting a lot many times. He could have killed Sushim back then too. Why now? Helena says every incident teaches us something about ourselves and others. This incident teaches you not to trust anyone here, not even your brothers. She comforts him. She thinks that all the darkness will go out of his way tomorrow. no one will object as you will be the deserving candidate for the throne. My promise to Justin will come true. Ashoka takes a bath. He gets ready for his punishment. Dharma continues looking after Sushim. Someone reads him some lines from some scriptures for Ashoka. Ashoka leaves with the soldiers. Everyone has gathered outside to witness this incident. Ashoka is all chained when he is brought outside for his execution. Bindu looks on sadly. Ashoka looks at his father. Bindu thinks of how he left the responsibility on Ashoka to help his brother in his absence. Do you have any last wish? Ashoka wants the chains to be removed for a while. Mahamadhya gets scared but Bindu fulfils Ashoka’s wish. Ashoka walks up to his father. They both think of their past happy moments. Ashoka asks him to bless him. Bindu caresses his face for a second eventually. The sun rises. Ashoka takes his position. The soldier ties his hands and covers his face with a black cloth. On the other hand, Sushim opens his eyes. Bindu signals the executioner. The executioner pulls the lever. Acharya Chanakya asks Samrat to stop.